Posted on July 16, 2015 by Lesvertes.com and tagged lesvertes lvyc lesvertesyachtclub lesvertes.com bloomingdales saksfifthavenue sales luxury boutique fashion highfashion couture creative design designer sweden dubai italy twitter.com/lesvertes newyork new jersey soho wynwood pearl district. Posted on July 14, 2015 by Lesvertes.com and tagged les vertes lesvertesyachtclub.com lvyc lesvertes.com clothing apparel gq high fashion lifestyle lesverteslifestyle art miami wynwood la vegas newyork style yacht club yachting beach new jersey globetrotter luxury. Brazil canvas art by fine artist Tupicalo. Lesvertes beach globetrotter inspired. Lesvertes founder and creative director collaboration with fine artist Tupicalo Atlanta,Miami based. The two create a fusion of beach ,swim travel globetrotter feel to the theme of the art Lesvertes collaboration . Posted on June 5, 2015 by Lesvertes.com and tagged art art basel fineartist tupicalo.com tupicalo lesvertes lesvertes.com lesvertesyachtclub.com les vertes @Lesvertes lesvertesyachtclub lesverteslifestyle bloomingdales blogger blog travelblog globetrotter inspired www.instagram.com/lesvertes brazil brasil wynwood soho pearl district fashion high fashion creativity creative designer design sweden dubai uk apparel branding boutique beverly hills beach swim whotel setai hotel modrian hotel bellagio sls hotel paris pdx sea seo couture garments google.com/lesvertes magazine highfashion clothing. Posted on June 3, 2015 by Lesvertes.com. 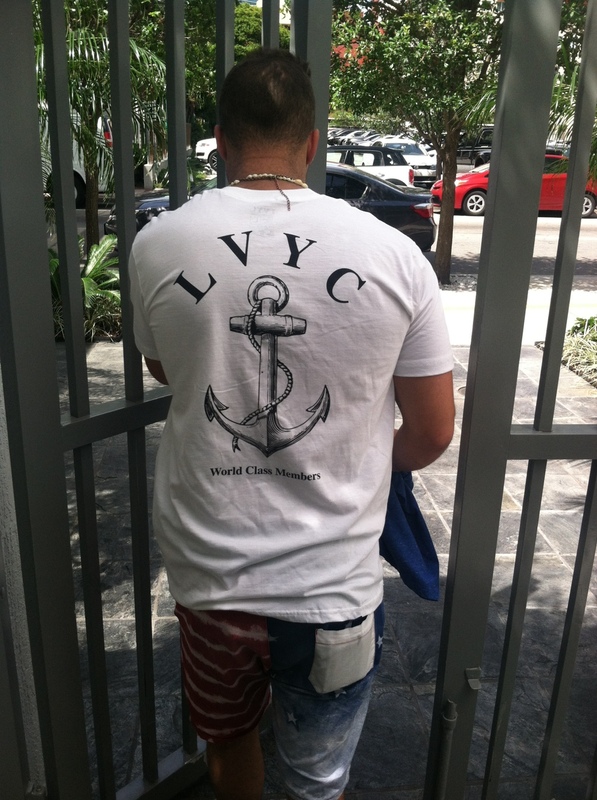 As Lesvertes expands as a lifestyle brand we strive on connecting with the worlds premier boutique's and exclusive high end retailers globally.Yacht club,globetrotter couture inspired design. Posted on June 2, 2015 by Lesvertes.com and tagged @apt606 apt606 boutique fashion highfashion hypebeast design designer lesverteslifestyle www.instagram.com/lesvertes tumblr.com/lesvertes twitter.com/lesvertes youtube.com/lesvertes google.com/lesvertes travelblog travel globetrotter dubai sweden monaco ibiza. Lesvertes lifestyle society brand salutes rolex time piece of genius craftsmanship .Time pieces the represent luxury and nice class. Posted on May 27, 2015 by Lesvertes.com and tagged rolex luxury ptrestige lesverteslifestyle lesvertesyachtclub lesvertes les vertes lesvertes.com @Lesvertes lesvertesyachtclub.com bloomingdales blogger blog trend. Posted on May 27, 2015 by Lesvertes.com and tagged beverly hills la hollywood fashion shirt clothing apparel lvyc les vertes lesverteslifestyle lifestyle lesvertesyachtclub lesvertes bloomingdales saksfifthavenue norstroms boutique design designer sweden menswear summer garments globetrotter hypebeast beach marine aqua rollsroyce rolex art fineartist international inspired creativity vision vintage. Lesvertes yacht club lifestyle society brand member sporting our vintage style royal blue tri blend cotton shirt. William taking a stroll around Sweden home of the vikings saying hi to the king and queen. Posted on May 27, 2015 by Lesvertes.com and tagged sweden stockholm archipelago old town rolex luxury yachtclub yacht club lesvertesyachtclub lesvertes.com les vertes lesverteslifestyle lesvertes @Lesvertes lesvertesyachtclub.com sales clothing apparel seo art basel art fineartist travel explore exotic world international inspired vintage designer design highfashion fashion high fashion shirt travelblog menswear garments italy blog blogger norstroms bloomingdales neimanmarcus saksfifthavenue thewebster hypebeast. Posted on May 27, 2015 by Lesvertes.com and tagged london travel blog passport fashion style lesvertesyachtclub.com lesvertes.com @Lesvertes lesvertes lesverteslifestyle les vertes lesvertesyachtclub amsterdam paris france dubai globetrotter designer design couture lifestyle. Posted on May 26, 2015 by Lesvertes.com and tagged rollsroyce phantom diamond auto broker luxury car toys miami florida fashion vintage shirt apparel clothing lesvertesyachtclub les vertes lesvertes.com lesvertes @Lesvertes lesvertesyachtclub.com lesverteslifestyle blog travel sweden rolex designer high fashion trend yacht club yachtclub yachting international sales french green exotic.